Ferdinand William Illing (1838-1884), a native of Regansburg, Bavaria, Germany, was the progenitor of the Illing family of Ocean Springs, Mississippi. Young Illing studied botany in Europe and in 1864 came to North America to design and develop the Palace Gardens of Maximilian, the Arch Duke of Austria and Emperor of Mexico, at Mexico City. After Maximilian was overthrown in 1866, Illing sailed to New Orleans and settled at Ocean Springs. He purchased land on the northeast corner of Washington and Porter Avenues at Ocean Springs where he planted pecan trees and practiced horticulture. 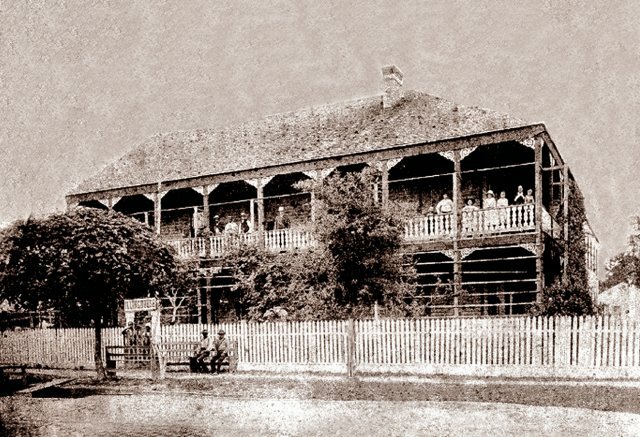 After Ferdinand Illing's untimely death in 1884, Rosalie Eglin Illing, and her eldest son, Eugene William Illing, continued the hostelry business with success. When Mrs. Illing passed on in 1894, Eugene and his new bride, Emma Judlin (1869-1958), carried on the family business. Because of the responsibility of rearing her small children, Eugene William Illing, Jr. (1895-1978), Harold Ivan Illing (1897-1959), Marion Emma Illing Moran (1899-1993), and Alvin James Illing (1903-1978), the daily tasks of cooking three meals for hotel guests, supervising servants, and her husband's political career, Emma and Eugene Illing decided to get out of the hotel business. This fact was noted in The Pascagoula Democrat-Star on August 11, 1905: The Illing House, one of the oldest landmarks of our town is being rapidly demolished to be converted into small cottages with all modern conveniences. Judge Illing is to be complemented on his enterprise. Mr. Illing was also an electrical and plumbing contractor and vended real estate, wood, and coal. Among the structures in Ocean Springs that he worked on were: The 1899 Ocean Springs High School, “Big White School”, on Porter and Dewey which was demolished in 1927; The 1910 Ocean Springs State Bank, now the Cornerstone Group building; and the Benjamin home on Lovers Lane, which was brought down in the 1940s. 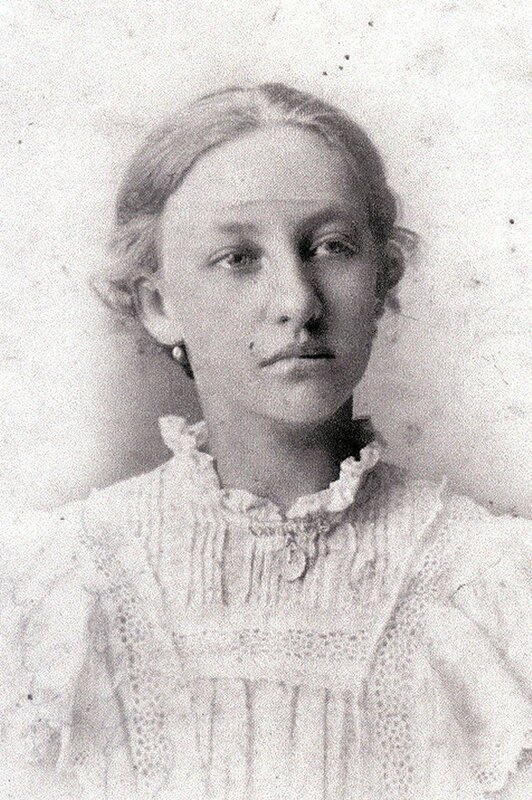 (Ocean Springs 1915) In November 1894, Eugene W. Illing married Emma Judlin (1869-1958), a New Orleans native and the daughter of John B. Judlin (1831-1890) and Elizabeth Alice Vatter (1842-1880+), who were Alsatian and German immigrants respectively. The Illing children were: Eugene W. Illing Jr. (1895-1978), Harold I. Illing (1897-1959), Marion Illing Moran (1899-1993), and Alvin James Illing (1903-1978). Judge Illing expired at the Biloxi Hospital his home on July 16, 1947. He leased the theatre circa 1946 and retired to fish and grow dahilas and hyacinths in his backyard. Eugene W. Illing Jr. (1895-1978), called Gene, was born at Ocean Springs on August 31, 1895. He and Jessie Colligan (1903-1972) were married by Father J.H. Chauvin of St. Alphonsus on January 11, 1928. 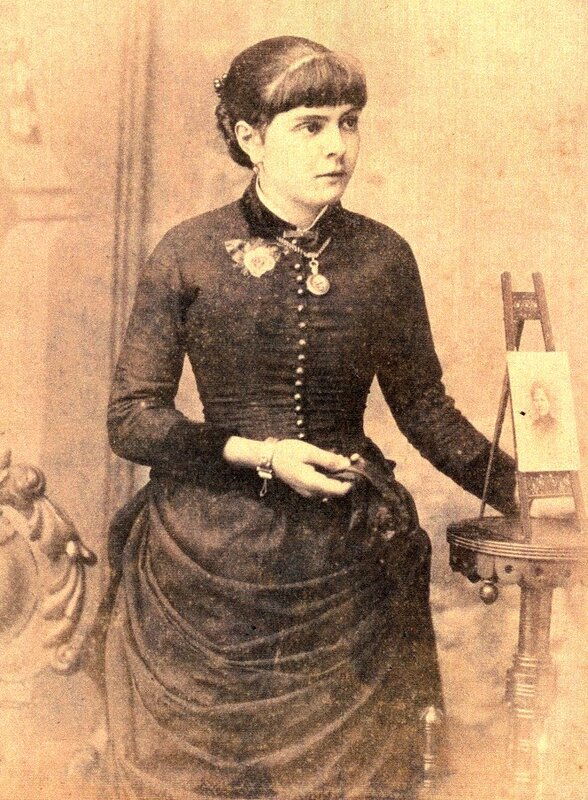 Jessie was the daughter of James R. Colligan (1855-1905) and Ellen E. Birdrow (1860-1925). She was employed with The Jackson County Times prior to her wedding. British Guiana, Cuba, and Louisiana before his tenure with the Andrews Sugar Factory at Barbados, began in 1926. Gulf City Packing Company was still operating in 1936. Jessie Colligan Illing preceded her spouse in death, expiring on July 16, 1972. Gene lived until December 31, 1978. He legated his estate to Marion Illing Moran, his sister, and the children of Harold I. Illing. Gene and Jessie C. Illing’s corporal remains were interred in the Illing family plot in the Evergreen Cemetery on Old Fort Bayou. (JXCO, Ms.Chancery Court Cause No. 35, 827,-1979. Alvin James Illing (1903-1978), called Bunny, was born at Ocean Springs on August 19, 1903. He married Lucille Leckich (1907-1998), the widow of Elliot "Skinny" Westbrook (1902-1932), who expired at Deming, New Mexico. Bunny Illing made his livelihood as an electrical contractor, and later as an electrical supervisor at Ingalls Shipbuilding. He and Lucille resided at 526 Jackson Avenue. Mr. Kiernan's father was a native of Massachusetts and mother from Ireland. George A. Kiernan made his livelihood with the Union News Company working as the newsagent on the L&N Railroad. He joined the organization circa 1895. 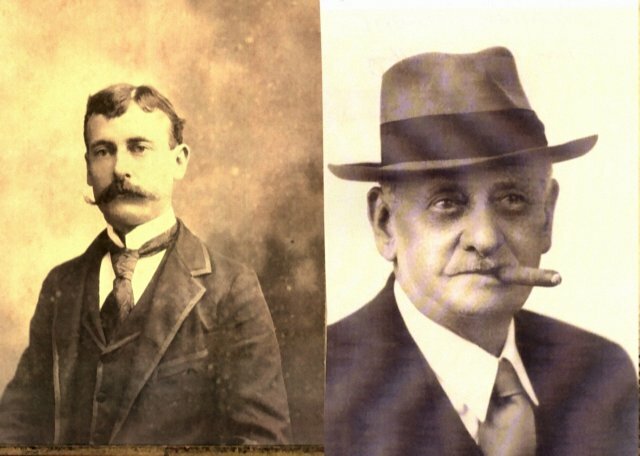 George A. Kiernan worked with Engineer Jeff Davis Holloway (1861-1938) and Conductor Andy Doyle (1871-1944) on the Coast Train operating between Ocean Springs and New Orleans. He was called a "pie butcher". Mr. Kiernan sold candy, newspapers, sandwiches, and pie to the passengers. The newspapers were supplied to the train by a young man working for Irene Hopkins Engbarth (1890-1984), the spouse of Charles E. Engbarth (1885-1962), who was the local dealer. She operated from her home on Ames Avenue. Mr. Kiernan expired at New Orleans on April 20, 1937. His remains were sent to Ocean Springs for internment in the Evergreen Cemetery. In addition to his family, George A. Kiernan was survived by a sister, Mrs. P.M.
George A. Kiernan and Camilla Illing Kiernan had seven children: Rose Mamie K. Delatte (1905-1983) married Edmond Daniel Delatte (1904-1970); George A. Kiernan Jr. (1909-1988) married Carolyn J. Webb (1916-1991); Veronica K. Sandoz (1913-1983) married Louis Sandoz (1915-1984); Ferdinand W. Kiernan (1911-1979) married Mercedes Westbrook and Lillian King (1912-1990); Mary K. Neff Johnson (19-1988+) married Otis Neff and Stanford Johnson (1906-1987); Althea I. Seals (b. 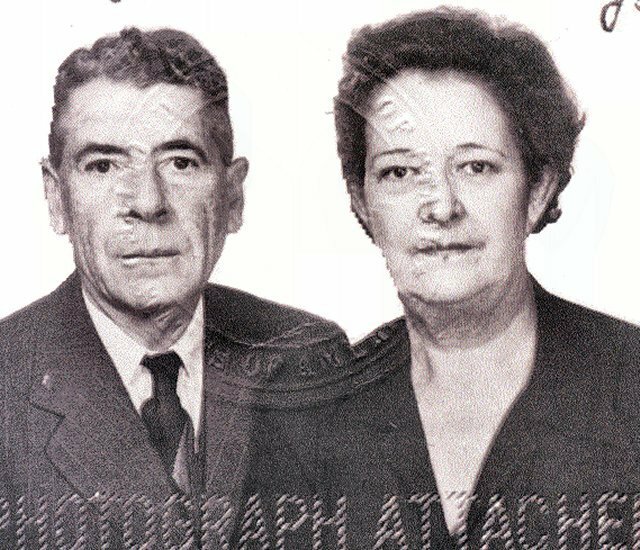 1919) married James Willis Seals (1918-1983); and Robert M. Kiernan (1922-1980). In September 1976, the Estate of Camilla Illing Kiernan sold the Kiernan family home to Ferdinand W. Kiernan and others. In October 1985, they vended it to Ralph and Betsy Codianne who opened “The Blue House Restaurant here in late 1985. Architect Bruce Tolar and Susan Tolar, his wife, acquired the Kiernan House in December 1987, and sold it in October 1991, to A.P. “Fred” Moran and John D. Meyers who possess it today. Jackson County, Mississippi Chancery Court Cause No. , "Estate of Camilla Illing Kiernan” –1961. Jackson County, Mississippi Chancery Court Cause No. 35, 827, "Estate of E.W. Illing Jr."-1979. The Biloxi Daily Herald, "City News", August 27, 1903. The Daily Herald, “Ocean Springs”, June 13, 1925. The Daily Herald, "George Kiernan Dies", April 21, 1937, p. 7. The Daily Herald, “Spark Vignes, Merchant of Biloxi, Dies”, April 3, 1942. The Daily Herald, “Harold Illing”, July 13, 1959. The Daily Herald, "Alvin J. Illing", June 30, 1978, p. 2. The Daily Herald, “Ferdinand William Kiernan”, Decemebr 6, 1979. The Gulf Coast Times, January 13, 1954. The Jackson County Times, “Local News Interest”, January 12, 1918. The Jackson County Times, “Local News Items”, December 20, 1919. The Jackson County Times, "New Illing Theatre to be Handsome Modern Structure", August 27, 1927. The Jackson County Times, "Illing-Colligan", January 14, 1928. The Jackson County Times, “Local and Personal”, June 15, 1929. The Jackson County Times, "E.W. Illing, Sr. pioneer resident, died Wednesday", July 19, 1947. The Jackson County Times, "33 years an Exhibitor "Judge Illing" is dead", July 26, 1947. The Progress, “Local News Items”, April 2, 1904. The Ocean Springs News, “Local News”, November 7, 1914. The Ocean Springs News, “Miss Marion Illing and Mr. A.P. Moran United in Marriage Sunday Afternoon”, December 18, 1958. The Sun Herald, “Mrs. Marion Moran”, February 24,1993, p. A-2. The Sun Herald, “Emogene (sic) Illing Pierce”, May 22, 1996. The Sun Herald, “Adrienne Finnie”, November 28, 2002.